By Melissa Lennig on June 4, 2017 4 Comments. This content contains affiliate links. As an Amazon Associate I earn from qualifying purchases. 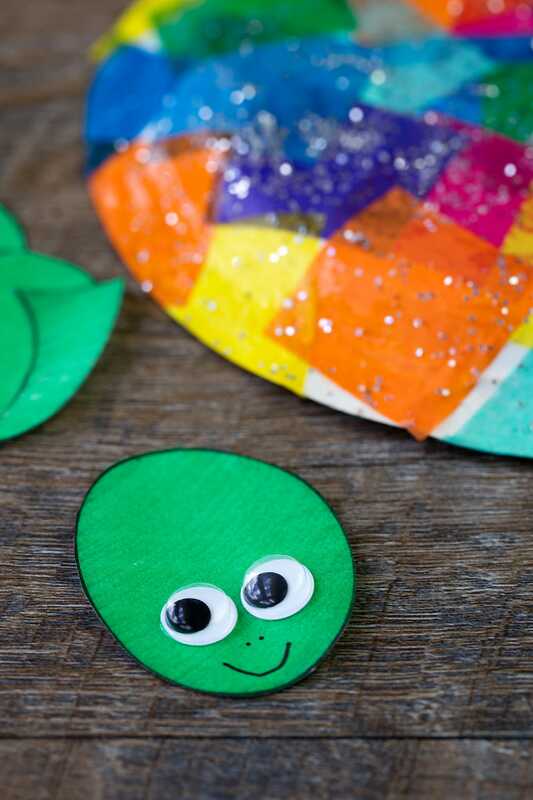 In this post, learn how to make a super simple tissue paper and paper plate turtle craft with kids. This easy craft includes a free printable template, making it perfect for home, school, daycare, or camp. Last weekend, my Mom and son spotted something slowly moving through the neighbor’s grass. Much to their surprise, it was a box turtle. The turtle was fun to hold, observe, and learn about. 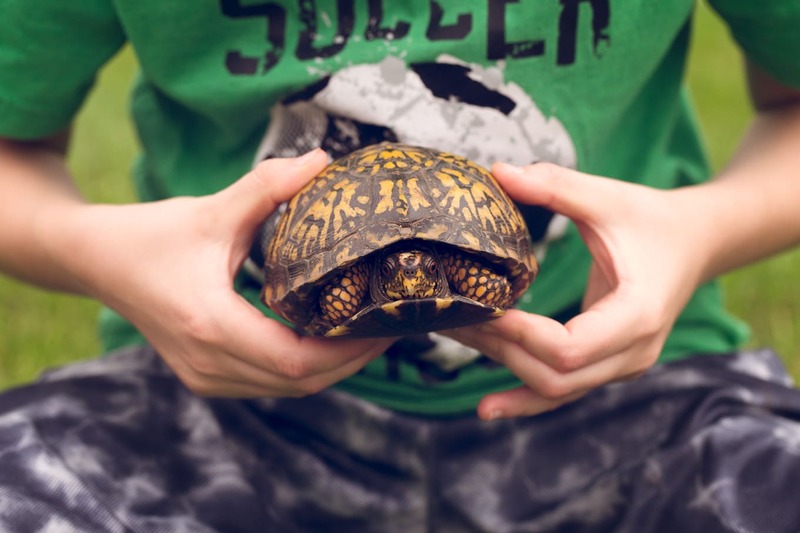 Box turtles are unique because they have 2 hard flaps on their bottom side they can close…just like a box! 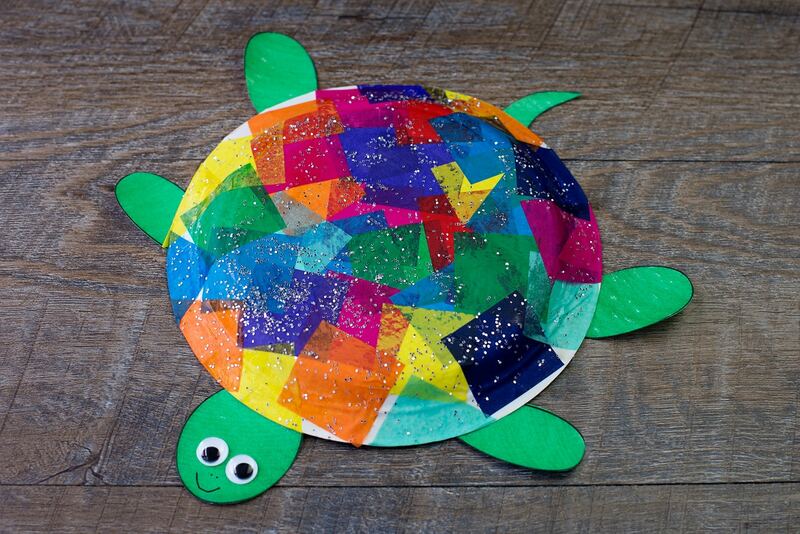 Inspired by our friendly neighborhood box turtle, the kids and I created colorful tissue paper and paper plate turtles. I just love the overlapping, vibrant colors! 1. 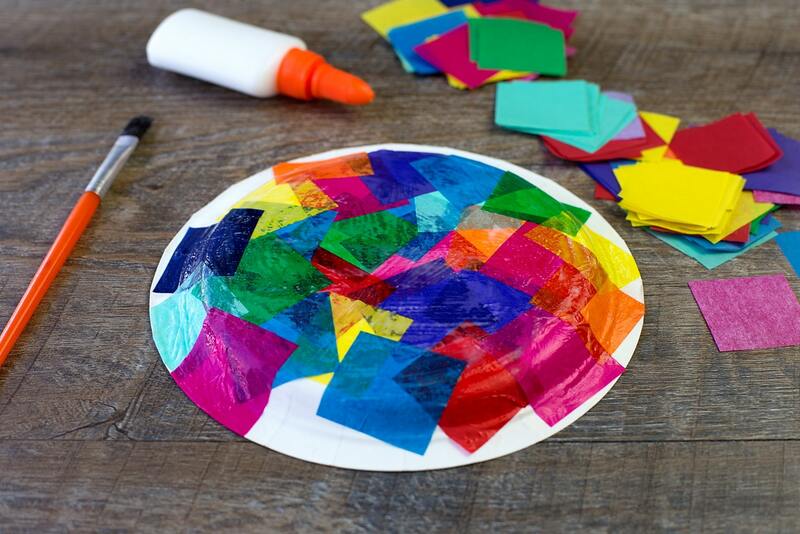 After gathering supplies, spread glue over the bottom of the paper plate with a paintbrush. 2. Cover the paper plate with tissue paper squares. When you get to the edge of the plate, fold the tissue paper underneath. 3. 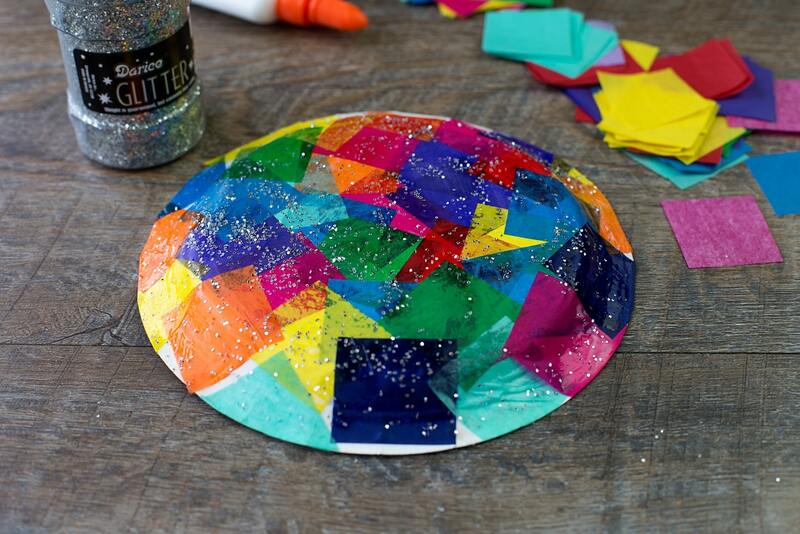 If desired, sprinkle glitter over the tissue paper squares while the glue is still wet. 4. 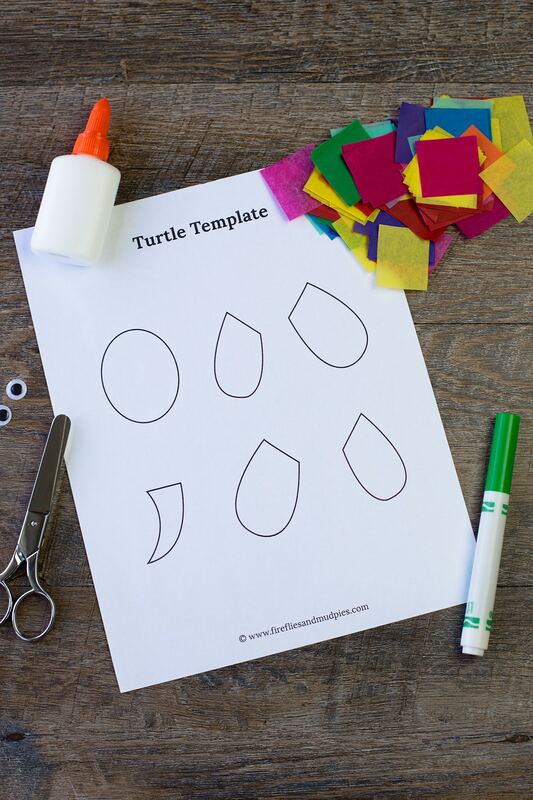 Print, color, and cut out the free turtle template. 5. Glue 2 wiggly eyes to the turtle’s head, then draw a nose and mouth on the turtle’s face with the black marker. 6. 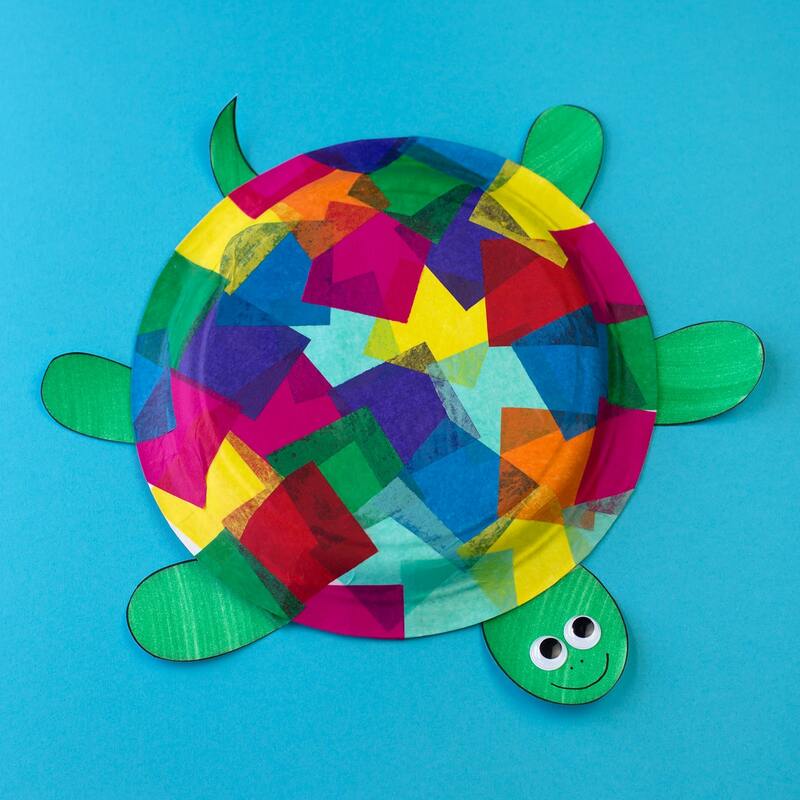 Secure the turtle’s head, legs, and tail to the paper plate with double-sided tape. And you’re done! It’s the perfect craft to pair with turtle books from the library. 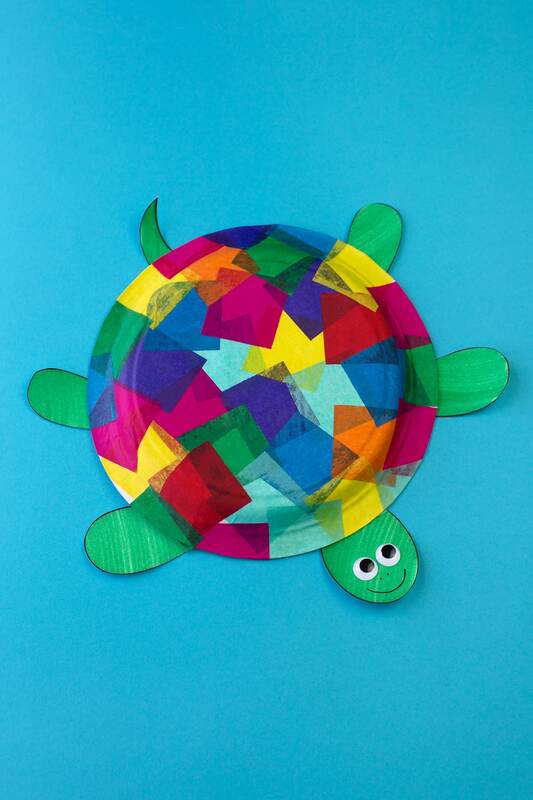 Click the links below to view more colorful turtle crafts for kids. Is the template made with cardboard, heavy paper or tissue paper? I recommend printing the template on cardstock.